Born in Mendham, Suffolk, Sir Alfred Munnings was the son of a miller. He was apprenticed to a firm of lithographers from 1893 to 1898 and studied at the Norwich School of Art. There he was impressed with plein-air naturalism; this, together with his introduction to the racecourse in 1899, influenced the themes for which he became famous. While in Mendham, Munnings painted many scenes of country life, particularly horse fairs. He went to Cornwall in 1908, and for many years was an important addition to the Newlyn School of artists. When the First World War broke out, Munnings enlisted, despite having the use of only one eye owing to an accident in 1899. He became an army horse trainer near Reading and later went to France as an official war artist, attached to the Canadian Cavalry Brigade. 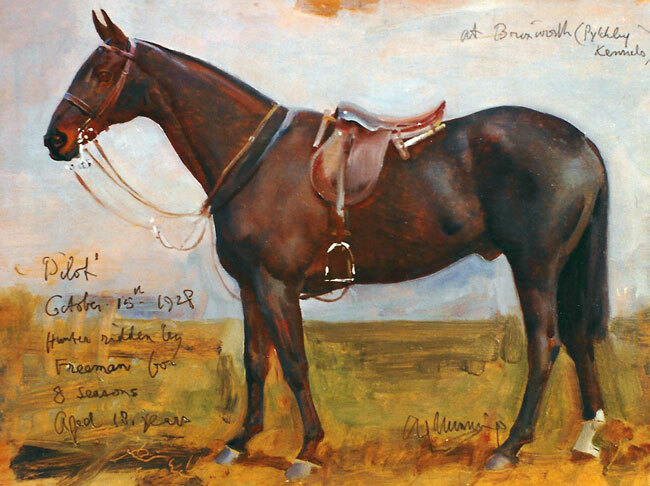 The year 1919 was a major turning-point in all aspects of Alfred Munnings's life; he painted his first racehorse, Pothlyn, the winner of the Grand National, and became an Associate of the Royal Academy. He met Violet McBride, whom he was to marry, and bought Castle House, Dedham, where the Munnings Memorial Trust maintains a permanent exhibition of his pictures. Munnings received many honours during his prolific career, including election to the Presidency of the Royal Academy in 1944, a Knighthood in 1945, and a personal award from the Sovereign in 1947, when he was created Knight of the Royal Victorian Order. 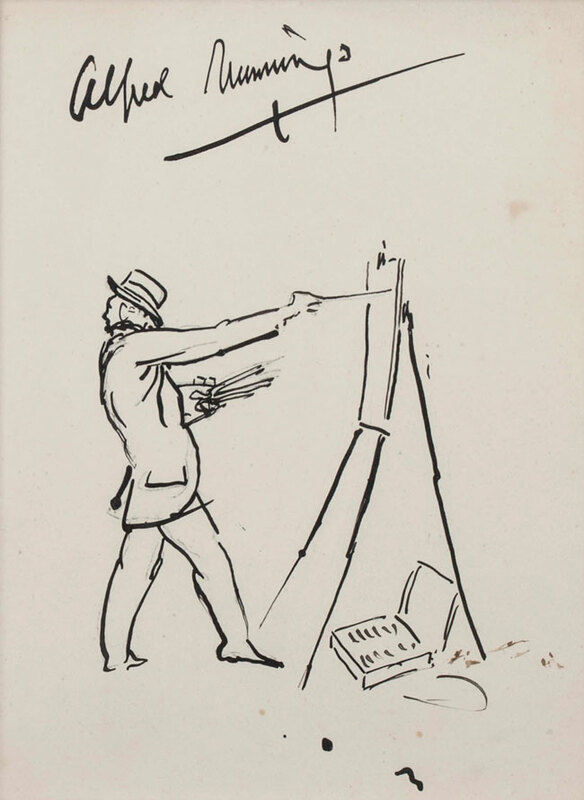 Please contact us if you are interested in selling your Sir Alfred Munnings paintings or other artwork from the 19th century and early 20th century.